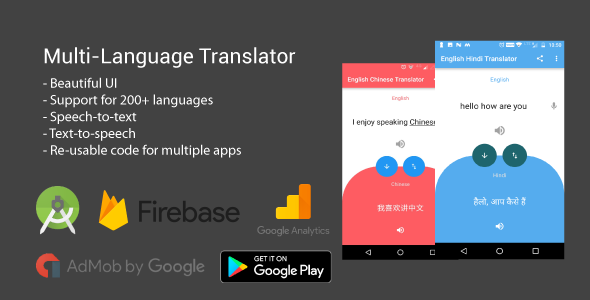 Multi-language speech & text translator is a unique app that lets its users translate between two languages. It include a text-speech and speech-text converter and language translator. The app uses open source Yandex API and is capable of translating between 200+ languages.